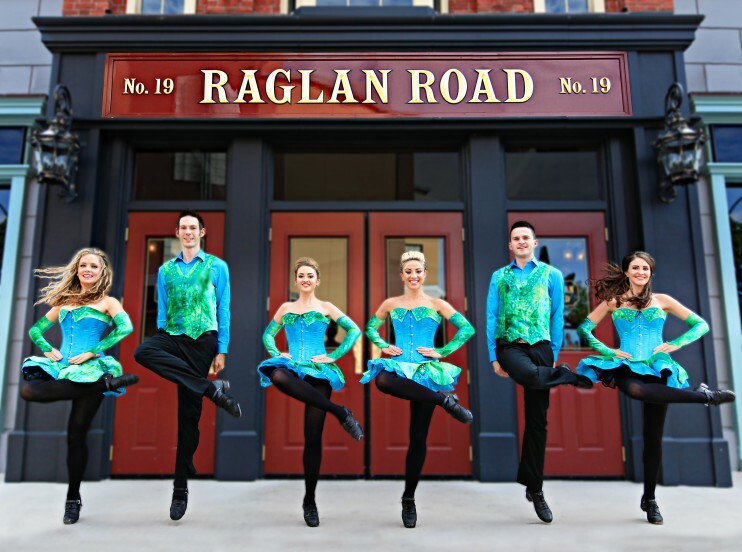 If you will be visiting Walt Disney World around St. Patrick’s Day and are looking for a fun place to celebrate, look no further than Raglan Road Irish Pub in Disney Springs. 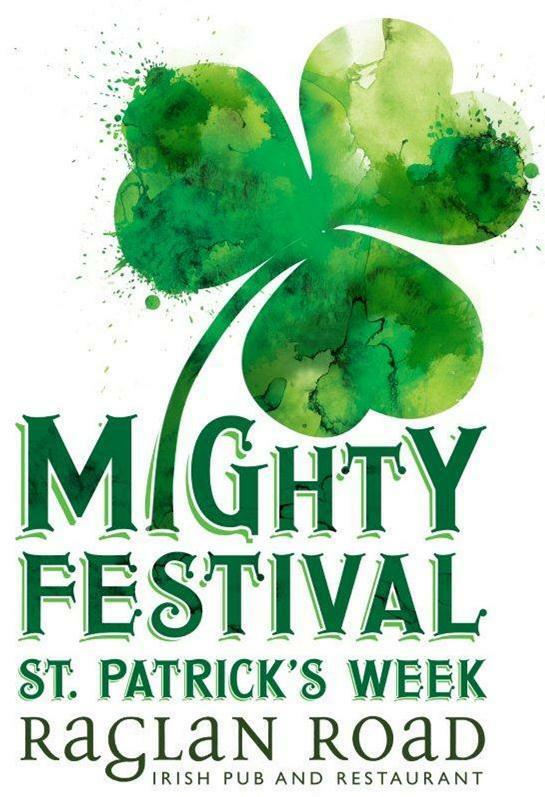 This year’s Mighty Festival runs from Thursday, March 16 through Sunday, March 19. 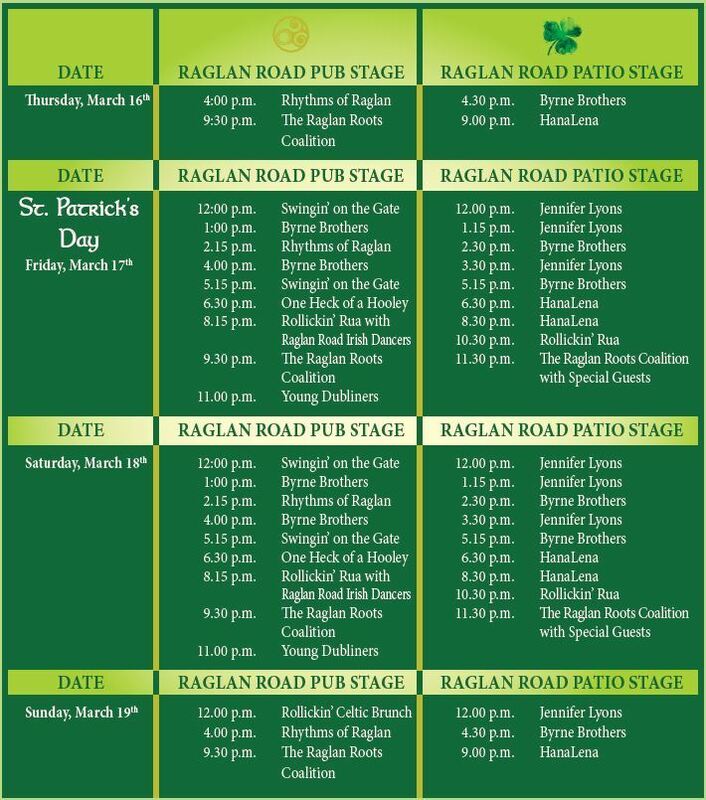 The Raglan Road Mighty Festival is not your average celebration; this is a fun-filled bash that is sure to get you in the spirit even if you aren’t Irish! There are performances by Irish artists including Young Dubliners, The Byrne Brothers, HaHaLena Band, The Raglan Roots Coalition, Swingin’ On The Gate, Rollickin’ Rua, Jennifer Lyons, plus some of the best Irish dancers that you’ve ever seen. 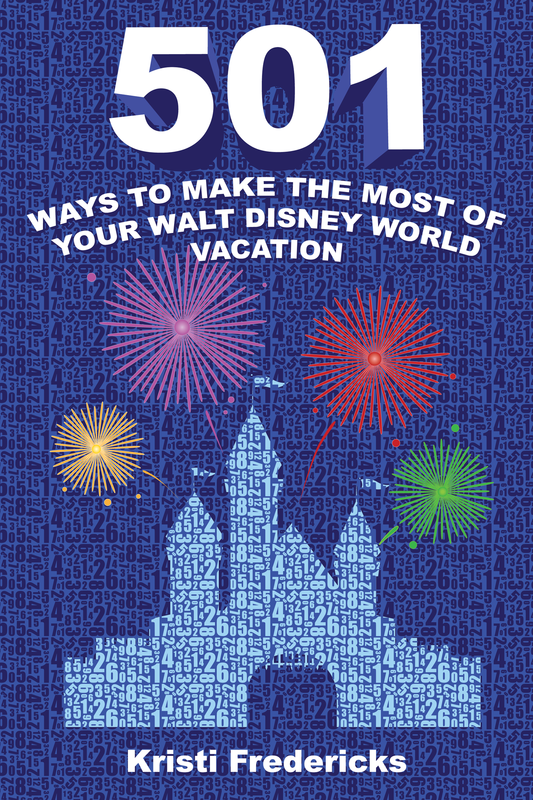 There is complimentary face painting for the kiddos and lots of giveaways making this an event the entire family can enjoy. And of course, what’s a party without delicious Irish food and a huge selection of craft beers and cocktails. The Mighty Festival runs from 4pm – 1:30am on March 16 and from 12pm – 1:30am on March 17, 18 and 19. On St. Patrick’s Day, March 17, guests will be seated on a first-come, first-served basis with a cover charge of $10 for each guest age 18 and older.